Ministers have been told they must go further with their overhaul of social care in England by merging its budget with the NHS. The government is currently pressing ahead with plans to introduce a cap of £72,000 on elderly care bills. But the King's Fund said that on its own the policy was not enough to solve the growing problems. Instead, it called for a joint budget to encourage the two systems to work together more closely. The report is being published on the day the government's care bill gets its second reading in the House of Lords. The legislation will pave the way for the introduction of a cap in 2016. Ministers have also said pilots will start in September to foster greater integration between the NHS and social care on issues such as assessments and hospital discharge. The amount of time asthma patients spend soaking up the sun may have an impact on the illness, researchers have suggested. A team at King's College London said low levels of vitamin D, which is made by the body in sunlight, was linked to a worsening of symptoms. Its latest research shows the vitamin calms an over-active part of the immune system in asthma. However, treating patients with vitamin D has not yet been tested. People with asthma can find it hard to breathe when their airways become inflamed, swollen and narrowed. Most people are treated with steroids, but the drugs do not work for all. Women in their 40s and 50s with depression are more than twice as likely to suffer a stroke, warns a landmark study. Striking evidence suggests that the condition makes them more vulnerable in this age group – younger than previously expected. In the 12-year study of thousands of women aged 47 to 52, it was found those with depression were 2.4 times more likely to suffer a stroke compared to those without. 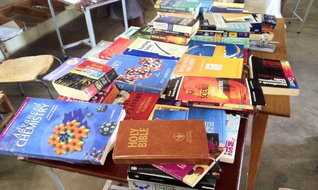 Yvonne Barlow, Routes Branch Manager in Sale, has kindly donated books and clothes to Guni Secondary School in Zimbabwe. Below is an extract from the thank you received from the Chairman of the school. "The donation came at the right time when we, through the Guni Old Students Association, are pushing for a revamp of the system at the schools, seeking to improve performance in both curricular and extracurricular activities. The current state of the schools and the educational system needs review and we are engaging all stakeholders for support. 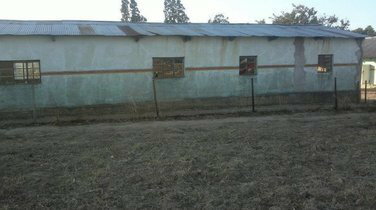 For the Primary school, reconstruction in required (see attached photos), while at the secondary school, it is a matter of adding educational resources and reviewing the system. We envisage transforming Guni Schools into model schools, centres of excellence in core and non-core curricular activities, and schools which upholds highest levels of discipline, integrity and professionalism. To achieve this, involvement of the community, former students, and other interested stakeholders is of paramount importance. As such, we are actively pushing for increased and committed participation of these stakeholders in the development of the school. We are striving to inculcate a sense of social responsibility in the former students so that they come on board to assist the schools and the community at large with similar if not better donations. A selection of books kindly donated by Yvonne and friends. Lastly, kindly express our gratitude to the people who enabled this donation to be a reality success. Special mention goes to Yvonne Barlow who provided some of the books and Mr Magada who assisted with the logistical arrangements for shipment of the books. Indeed, these are our partners and true Friends of Guni Schools!!! We would be glad to receive more donations from you."